Our youngest campers are ready for a multitude of fun and exciting activities. 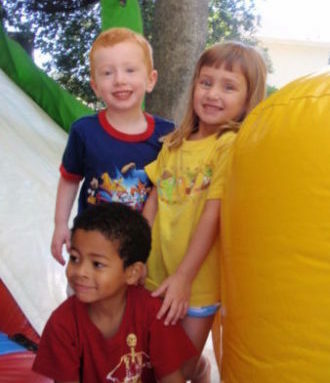 This program is designed specifically for our Preschool and Prekindergarten campers. The children enjoy many activities on campus including running in our jungle gym, playing parachute on our oversized playground, and enjoying water play in our pool. Our older guppies may choose to participate in some off campus trips such as a trip to the zoo, aquarium, museum, or movies and many more fun, exciting and educational trips. Busses arrive at camp at approximately 8:30 am on trip days, so put on your Hillcrest shirt, pack a lunch or pre-order one of our boxed lunches. Sometimes we bring the adventure to us; camp visitors include the bounce house, “Lizard Guys” and “Mad Science”. When you arrive for pickup be sure to ask your child about the days exciting adventures at Hillcrest Summer Camp! **Day Trips – For our Guppies Program are optional and offered at additional cost. 10% discount for the child(ren) with the lesser tuition rate. ***There is a onetime $50 non-refundable registration fee per child per summer. Campers in this group are offered increased opportunities for growth and development as they more fully explore our program and facilities. The children will enjoy exciting day trips as well as our playground and jungle gym. In the area of sports, games and other activities, the campers are taught to work together as a team while building an ever increasing bank of skills in basketball, kickball and so much more. 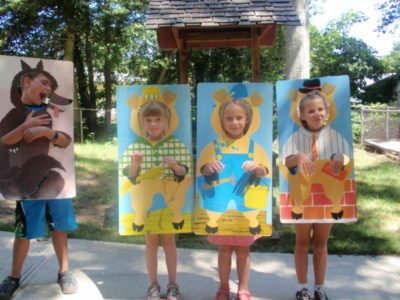 Under the guidance of our experienced counselors, our creative arts, drama, music and motion programs offer age-appropriate activities to interest all campers. 10% discount given for the child(ren) with the lesser tuition. 1Available only to campers registered for 7:30 am to 6:00 pm. This program is tailored to our oldest campers needs. Our exciting off campus trips may include an indoor water park, Rope Park, Pinball museum and many more. One of the more spirited groups in camp, get the benefit of the full camp program. 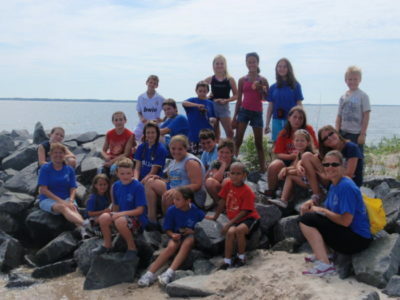 Once campers enter this age group they can bike ride to the bay, take a nature hike with an ice cream surprise and use their imaginations creating shows and games. We like to invite our Beachcombers to enjoy evening swim time, a movie and dinner during our Campers Night Out activities. Keeping cool in the summer is easy at Hillcrest Day Camp because the children have access to our pool every day.